Regent Seven Seas Cruises (RSSC) is a luxury cruise line, formerly known as Radisson Seven Seas Cruises, headquartered in Miami, Florida. 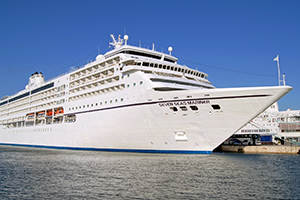 The company offers cruises which visit over 300 ports worldwide. Regent Seven Seas specializes in ships with a small passenger capacity. Since September 2014, Regent Seven Seas Cruises has been a wholly owned subsidiary owned of Norwegian Cruise Line Holdings, which also owns Norwegian Cruise Line and Oceania Cruises. 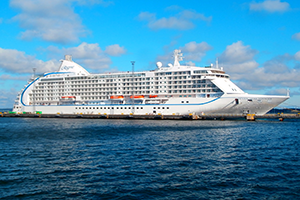 Apollo Management, an investment group, purchased Regent Seven Seas Cruises from Carlson Companies. for $1 billion in February 2008. Apollo Investments also owned Oceania Cruises and 15.8% of Norwegian Cruise Line. Carlson retained ownership of the master Regent brand, along with the operations of Regent Hotels & Resorts around the world. Following the purchase, Apollo made public their plans to order a new ship for Regent. The new ship was planned to be of similar dimensions and capacity as the Seven Seas Voyager and Seven Seas Mariner, but with larger accommodations and expanded public spaces. This was to be the Seven Seas Explorer. 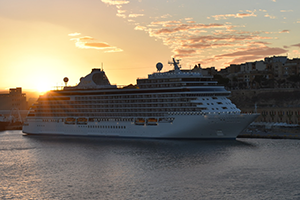 On September 2, 2014 Norwegian Cruise Line Holdings purchased Prestige Cruise Holdings, the parent company of Oceania Cruises and Regent Seven Seas Cruises, for $3.025 billion. 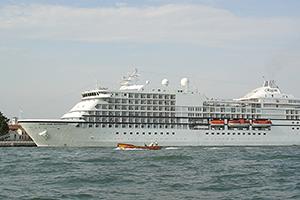 Seven Seas Navigator. Built: 1999. Gross tonnage: 28,550 GT. Seven Seas Voyager. Built: 2003. Gross tonnage: 42,363 GT. Seven Seas Mariner. Built: 2001. Gross tonnage: 48,075 GT. Seven Seas Explorer. Built: 2016. Gross tonnage: 54,000 GT. Seven Seas Splendor. To be delivered: February 2020. Gross tonnage: 55,254 GT. TBA. To be delivered: Late 2023. Gross tonnage: 55,000 GT.